Via Dengeki Hobby, we have official images of the first of the Q Transformers crossovers toys. If you’ve ever felt the burning desire to own a Transformer Hello Kitty, this is the toy for you. Q Transformers Crossovers Hello Kitty transforms from the iconic Hello Kitty character into a Generation 1 themed Optimus Prime truck. She’s due out in July, together with the show-themed versions of Q-Transformers Optimus Prime, Bumblebee, and Lockdown. 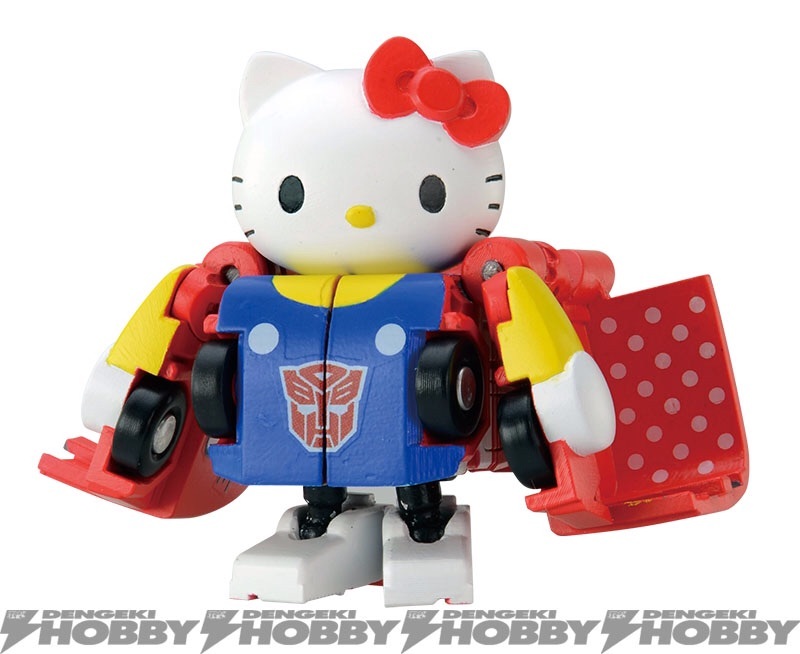 Check out the official images of Hello Kitty x Q Transformers attached to this post. The post Q Transformers meets Hello Kitty Crossover Images appeared first on Transformer World 2005 - TFW2005.COM. Here is an interesting one, coming your way via the Weibo account “Transformers“. It seems that Diaclone is set to make a return, with a new, high-end version of the line’s poster robot Diabattles getting a Masterpiece-style treatment, complete with articulated drivers. For those unaware, Diaclone is the Japanese toy line, which would eventually spawn many of the “Car Robot” molds brought across for the first Generation 1 Transformers toys. However, alongside those toys were other sci-fi styled vehicles and robots who predated the Car Robots. Diabattles was one of these, he was one of the heroic mecha used » Continue Reading. 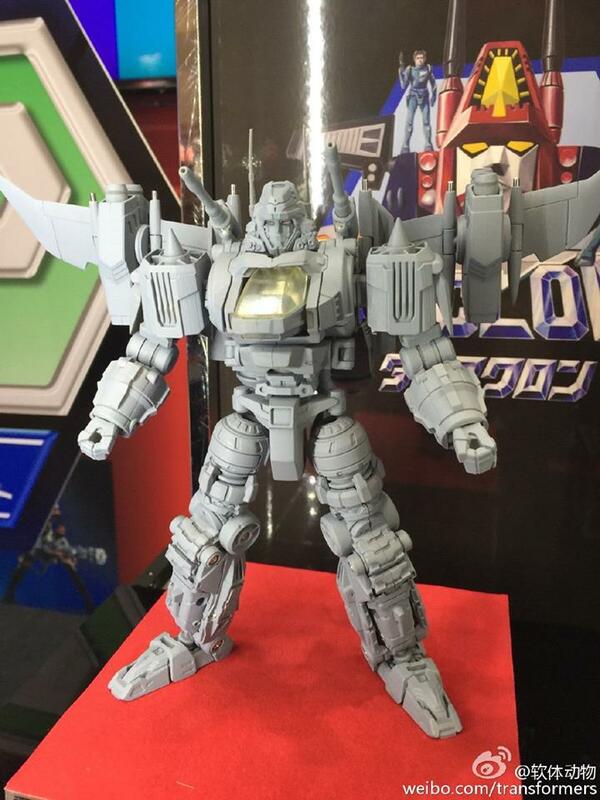 The post Tokyo Toy Show 2015 – Diaclone Diabattles to get a new toy appeared first on Transformer World 2005 - TFW2005.COM. 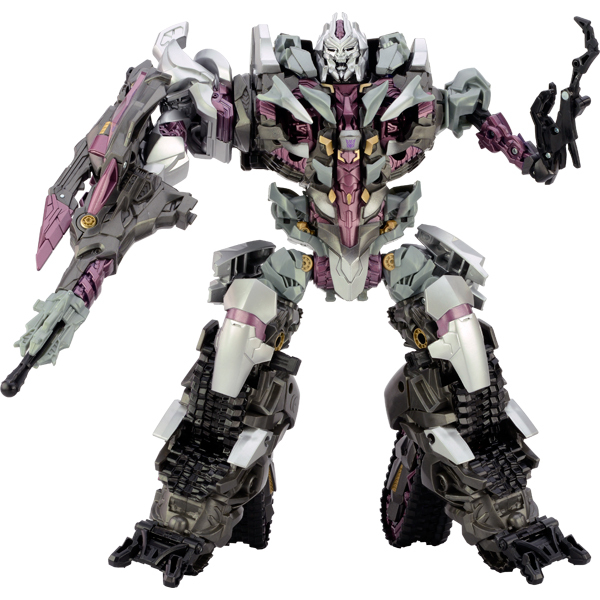 TakaraTomy Mall has posted a another online exclusive product page for Nightmare Megatron that recently deputed at the Tokyo Toy Show. This release is a repaint, consisting of more purple, gold, and silver highlight, of the Leader Class Megatron from the Revenge of the Fallen toyline released in 2010. TakaraTomy Mall will be accepting preorders for this figure at 14,904 yen from Friday, June 20th to Monday, July 6th. The figure is limited to 2,000 pieces, and it is scheduled to be release on October 24, 2015. Check out the official images and let us know your thoughts » Continue Reading. The post TakaraTomy Mall Online Exclusive Nightmare Megatron appeared first on Transformer World 2005 - TFW2005.COM. 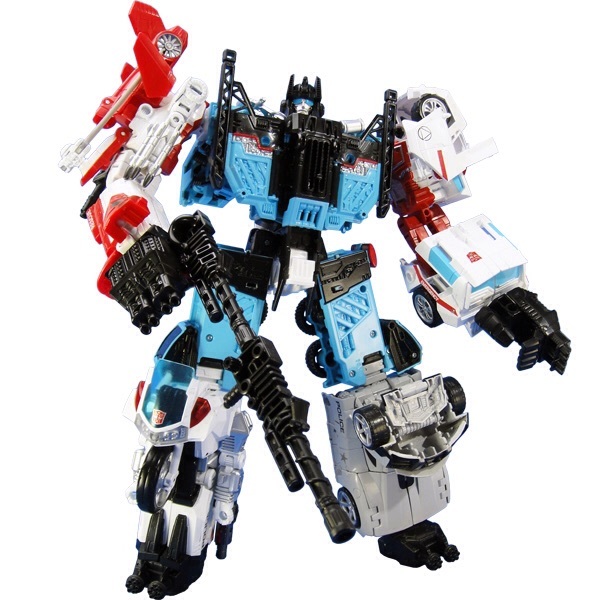 In tandem with Tokyo Toy Show going on right now, TakaraTomy Mall has updated with some official stock photos of Takara’s Unite Warriors Defensor and Groove, showing off full colored images of the big guy himself and Groove in his robot and vehicle modes. How do you think it compares with the Hasbro version? Let us know your thoughts after the jump! The post Official Stock Photos of Takara Unite Warriors Defensor & Groove appeared first on Transformer World 2005 - TFW2005.COM. Thanks to our ground team at Botcon 2015, we now have word on the show exclusives this year and the production numbers: Freebie Figure: Zaptrap (Gen. Shrapnel repaint) G2 2-Pack: General Optimus Prime (Gen. Roadbuster repaint) Sargent Hound (Gen. Scoop Repaint). LE 1,100 Diaclone 2-Pack: Diaclone Skids (black Gen. Skids reapint) Diaclone Hoist (red Gen. Hoist reapint) LE 1,500 Waruders 4-Pack: Gen. Waspinator repaints LE 2,000 Stay tuned in to TFW2005 as we bring you all the Botcon 2015 news! The post Botcon 2015 Souvenir Information appeared first on Transformer World 2005 - TFW2005.COM. Tokyo Toy Show Floor Images – Fembots, Masterpieces, & More! 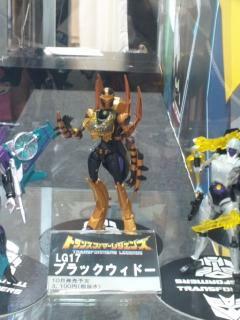 We’re just starting to receive some Tokyo Toy Show floor pics, including our first color images on the Takara fembots. Watch this space for more! The post Tokyo Toy Show Floor Images – Fembots, Masterpieces, & More! appeared first on Transformer World 2005 - TFW2005.COM. 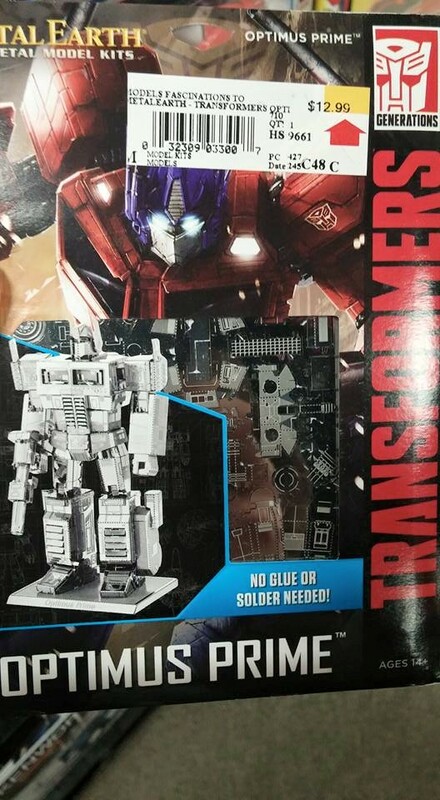 A minor bit of sightings news for those who like to make kits – a line of Transformers Metal Earth kits are currently being found at US retail. The metal build-it-yourself kits advertise that they can be assembled without glue or solder – though feedback suggests that you may still want to make use of a little glue on some parts. There are four in the line – Optimus Prime, Bumblebee, Megatron, and Soundwave. These were spotted at a Hastings in Ponca City, Oklahoma – thanks to TFW member MnemonicSyntax for the heads up. The post Metal Earth Transformers Kits found at US retail appeared first on Transformer World 2005 - TFW2005.COM. 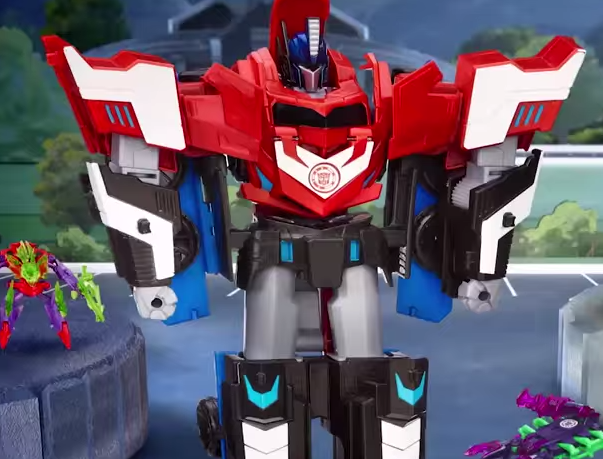 Shared via the official Transformers YouTube channel, we have a neat commercial featuring the Mega Optimus Prime figure! This Australia commercial shows off the three-step changer that is Optimus Prime, which we should be seeing more of as it becomes available at the normal outlets. Although it may not be the main focus of many collectors, check it out after the jump and let us know if it’ll make into your collection, or maybe a gift for the kiddos! The post Robots In Disguise Mega Optimus Prime Australia Commercial appeared first on Transformer World 2005 - TFW2005.COM. Botcon 2015 is finally here folks, and the news is starting to roll in! 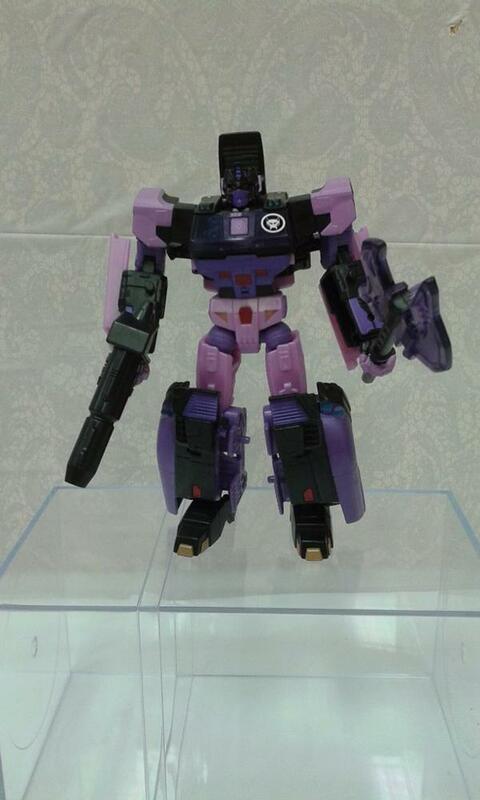 Botcon just tweeted out an image of the custom class figure exclusive, Gala Convoy. Gala Convoy is a repaint of the Generations Orion Pax mold and uses the new Lio Convoy/Nova Prime head sculpt from the Transformer’s Collector’s Club. Stay tuned for the rest of the week as we bring you all the new from Botcon 2015! The post Botcon 2015 Custom Class Figure Gala Convoy appeared first on Transformer World 2005 - TFW2005.COM. TFW2005 boards member D-Drive has sent through the Diamond Comics Shipping list for June 24th, and boy, this time it’s a biggin’! Coming to us next Wednesday are some toys, a new cover for Transformers vs GI Joe, plus the new issues of More than Meets the Eye and Windblade! Check it all out and sound off in the discussion thread on what you’ll be picking up. • Transformers MTMTE #42 regular, subscription and 1-in-10 incentive covers “We should’ve known. Being happy: always a sign that somebody was about to die.” —From Knight Quest: The Quest for the Knights, by » Continue Reading. The post Diamond Comics Shipping List for June 24th appeared first on Transformer World 2005 - TFW2005.COM. The Transformers Facebook page has share a new stop motion animated video created by Stoopid Buddy Stoodios. 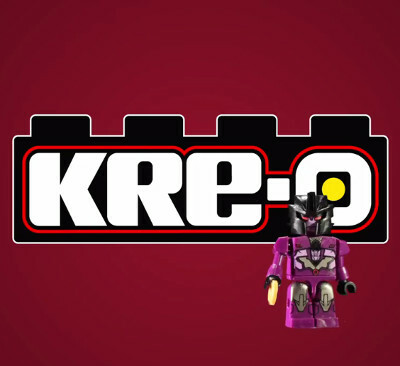 The commercial, titled “Arcade”, stars Kreon Vehicon, and two Battle Changers, Optimus Prime and Grimlock. Thank you forum member T4mercustomz for letting us know, and all I can say is watch out if Grimlock ever puts down a quarter to call next in line at the arcades. You can check out the video here, then let us know your thoughts on the boards. The post Transformers Stop Motion Commercial featuring Keron Battle Changers appeared first on Transformer World 2005 - TFW2005.COM. Thanks for forum member Shattered Sky letting us know that the Hasbro Transformers Brand page has posted 2 new animation shorts online, titled “Carjacked” and “Perfect”. Both are fairly lighthearted stories that feature the main crew when they are not on a mission. You can check out both of those videos here, then let us know what you think on the boards. 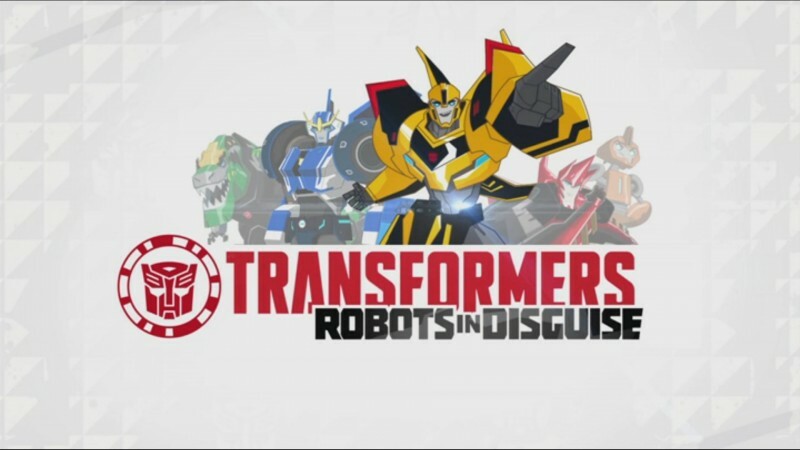 The post New Transformers Robots In Disguise Animation Shorts appeared first on Transformer World 2005 - TFW2005.COM. 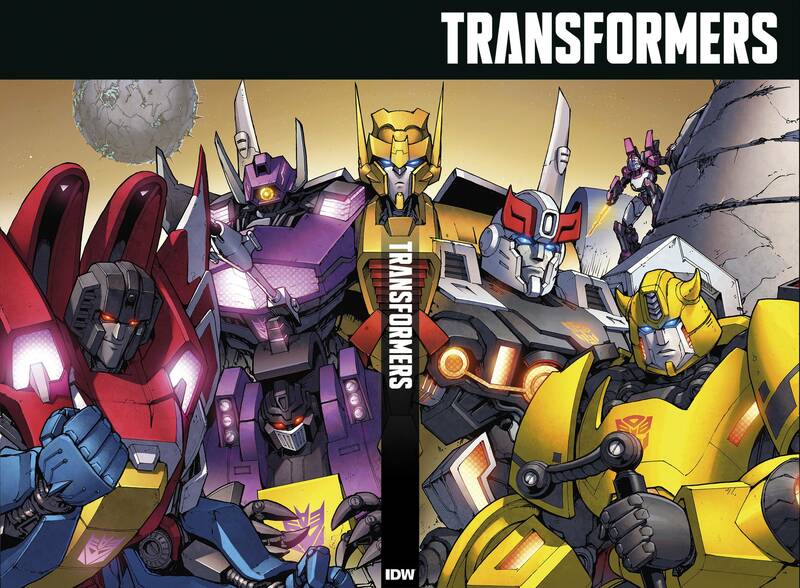 PREVIEWSworld has posted the IDW Transformers comics solicits for September 2015! September brings us some great comics, including the previously-revealed Spotlight Omnibus volume 2 and the trade paperback boxset containing the first five volumes of the Robots in Disguise (comic) series. There are also new issues of Transformers, More than Meets the Eye, Windblade, and Robots in Disguise. 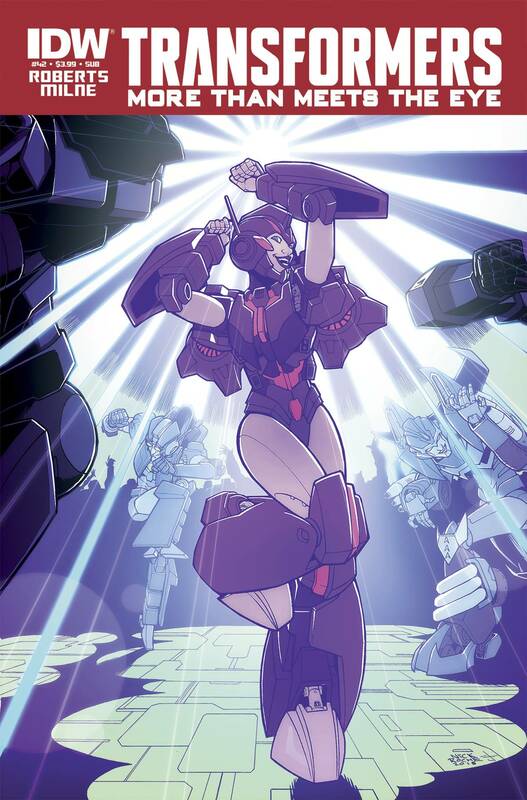 You might be excited to know that Windblade is bringing Elita One into the fold… and More than Meets the Eye is set to feature the return of five fan-favorite Decepticons. Welcome back, guys. Click the read more link » Continue Reading. The post IDW Transformers Comics for September 2015 appeared first on Transformer World 2005 - TFW2005.COM. 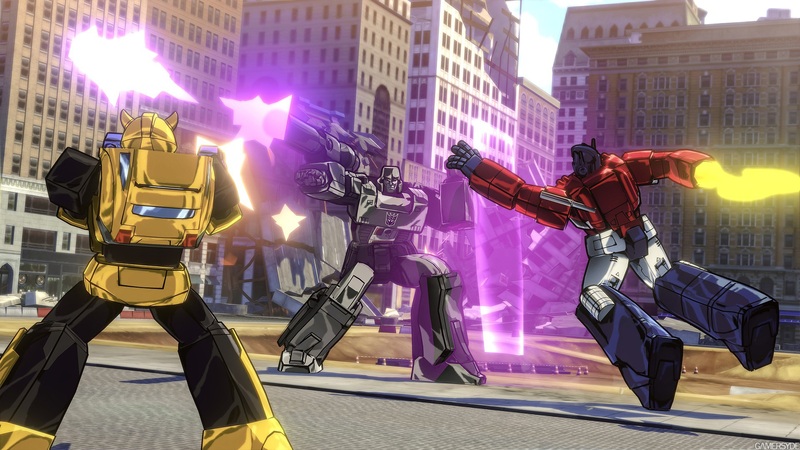 Watch the first Transformers Devastation gameplay live! The “Super Bowl of the video game industry”, E3, has been in full swing – and coming up, we will have the first ever, world-premiere gameplay of PlatinumGames’ upcoming Transformers Devastation for your viewing pleasure! You’ll be able to find it in the stream after the jump – be sure to keep an eye on it, as it will be premiering tonight at 6:00 PM EST / 3:00 PM PDT (roughly one hour from now). This post will also be updated with whatever details come out. Til then, sound off with what you hope to see after the break! The post Watch the first Transformers Devastation gameplay live! appeared first on Transformer World 2005 - TFW2005.COM. Third party group FansToys has just revealed the first prototype pictures for their project titled Willys! This project will be a Masterpiece inspired figure of Generation 1 Hound! 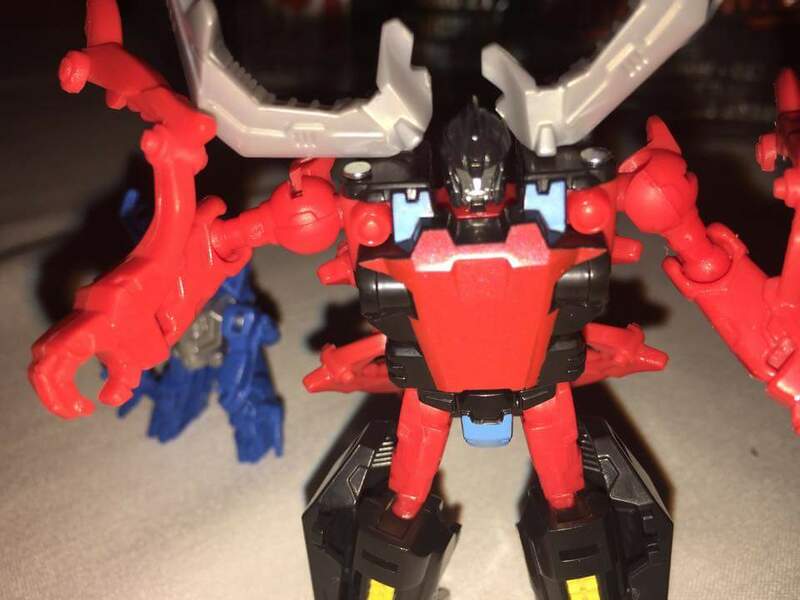 So far we have prototype images of both alternate mode and robot mode, and a brief description that states “it will have a lot of diecast parts and rubber tires.” Standing approximately 16.5cm tall, Willys is scheduled to be available in November. Will this one be making it on your collection shelves? Sound off in the discussion thread! 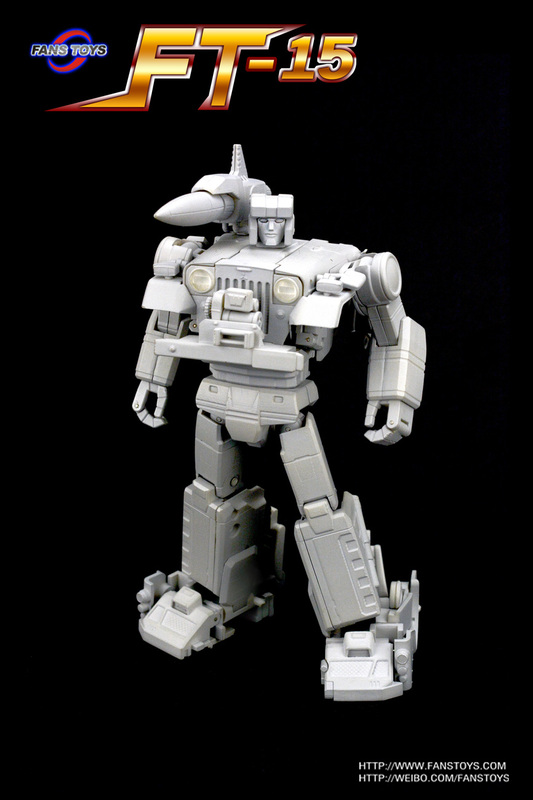 The post FansToys Willys – Masterpiece Inspired Hound – First Prototype Images appeared first on Transformer World 2005 - TFW2005.COM. 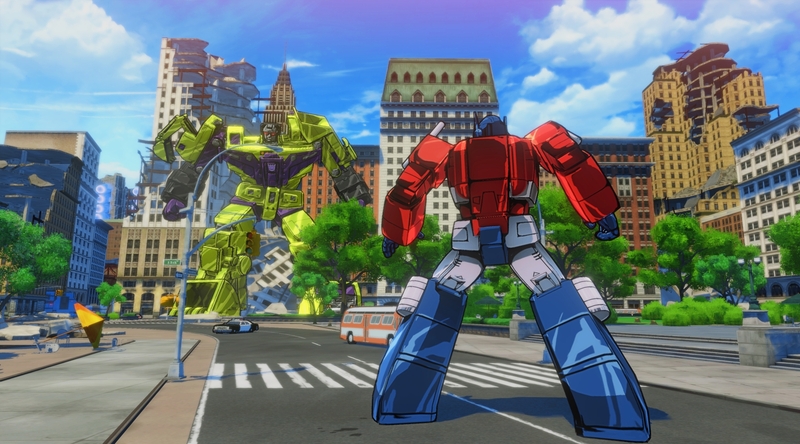 Transformers Devastation Roundup: Press Release, Details, High-Res Images, HD Trailer & More! In tandem with the big site upgrade, we’ve decided to make a big ol’ Transformers Devastation roundup post for your viewing pleasure, encapsulating a lot of what’s been coming out over the last little while. This includes a press release, more info, high-res images, an HD trailer, and more. Enjoy below, and keep an eye out for more Transformers Devastation coverage later today! Activision has just sent out a press release for PlatinumGames’ upcoming Transformers: Devastation, including some more details and high-res images of the game. In addition, Platinum’s Kenji Saito has posted an article on the Playstation <a href="http://news.tfw2005.com/2015/06/16/transformers-devastation-roundup-press-release-details-high-res-images-hd-trailer-more-292973">» Continue Reading. The post Transformers Devastation Roundup: Press Release, Details, High-Res Images, HD Trailer & More! appeared first on Transformer World 2005 - TFW2005.COM. Via Amiami’s Rakutan Store, we have a look at the individual Kabaya Seacons. The six Seacons are shown here individually, and all six are looking pretty nice. They closely resemble their Generation 1 designs, and have the added bonus of a slight splay in the legs to avoid the “monopod” look. And, as we have seen previously, they also manage the full function of the G1 figures, complete with the Piranacon / King Poseidon combined form. The post Kabaya Seacons New Images appeared first on Transformer World 2005 - TFW2005.COM. On the Horizon of Hasbro Generations Devastator's release, comes a new challenger in the third party toys arena named Generations Toys with their first project GT-01 Gravity Builder, homage to G1 Devastator. Courtesy of TF Upgrader via Facebook, we have prototype images of this combiner team in the combined robot mode, as well as individual vehicle and robot modes. 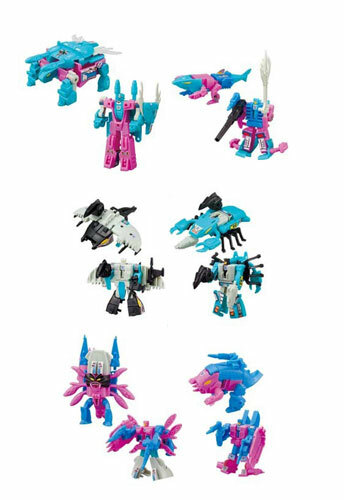 Each individual member of the combiner team features many points of articulation and individual weapons. They also turn into their respective vehicle modes equipped with what appears to be rubber tires. When combined, the Gravity Builder figure will stand about 38 cm (approximately 15 inches) tall, which appears to be about the same height as Warbotron's WB01 Bruticus Homage Combiner figure. Unfortunately, no release date or pricing information is available right now, but we will be sure to let you know when it surfaces. So, what do you think of the new third party group going into the ring? Check out the images and share your thought with us on the boards. IDW's Transformers #42 - an epilogue to the Combiner Wars - hits comic stores tomorrow. IDW have released the three covers for this issue. As always, you have the previously-seen "normal" cover, a "retailer incentive" depicting Galvatron, and a "subscription" version depicting Optimus Prime and Prowl having a frank discussion of their differing world views. We've attached all three covers to this post - check them out! Hisashi Yuki of TakaraTomy has gone on Twitter and shared images showing the packaging and a slight preview of the instruction booklet of Transformers Legends Black Convoy and Armada Megatron. It appears TakaraTomy will continue their tradition of using black and white color scheme for their exclusive products, which continues to give them a premium and impressive look. If you haven't heard already, these figures will release at the TakaraTomy booth at the Internationl Tokyo Toy Show this weekend being held at Tokyo Big Sight in Japan.